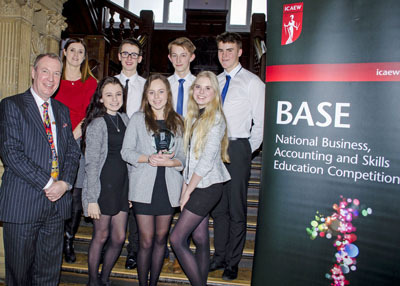 Students from King Edward VI School, Morpeth demonstrated their business acumen and beat off competition from other local teams to win the Newcastle heat of ICAEW’s national business and accounting competition, BASE on 8 March. King Edward VI Schiool, Morpeth impressed the judges and will go on to represent the north east at the national final which takes place at in Birmingham in June. This was one of 49 heats attracting over 3,000 students around the country. 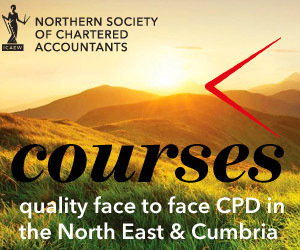 The BASE competition attracted school teams from across the north east and was supported by local firms and businesses including Deloitte, EY, Kaplan Financial, KPMG, National Audit Office, Newcastle University Business School, PwC, Tait Walker and Tindles, Chartered Accountants who provided professional mentors and judges. 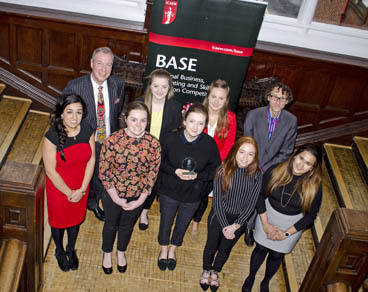 The runners-up of ICAEW BASE Newcastle 2016 were Newcastle High School for Girls (pictured below).